Pocket Rough Guide Istanbul contains everything you need to know about this unique, continent-straddling city-from insightful coverage of the key sights to expert reviews of the very best restaurants, bars, clubs and shops. Image-packed itineraries help you plan your time in the city, while the equally colourful "Best of" section ensures you don't miss any highlights, from the tile-spangled interior of the landmark Blue Mosque to the fabled ferry ride on the Bosphorus. 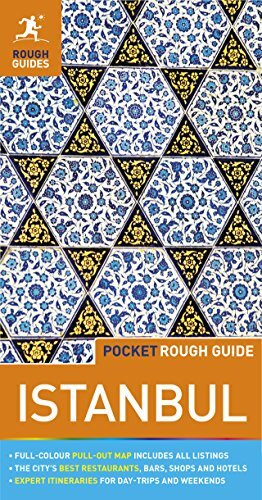 The rest of Pocket Rough Guide Istanbul is broken-up into areas for easy navigation, with expert accounts of all major and many minor sights, as well as honest reviews of the top places to enjoy a real kebab, dance at a riverfront club, buy some souvenir Turkish Delight - and much more.